I haven't seen this discussed specifically, so I thought I'd bring it up here. 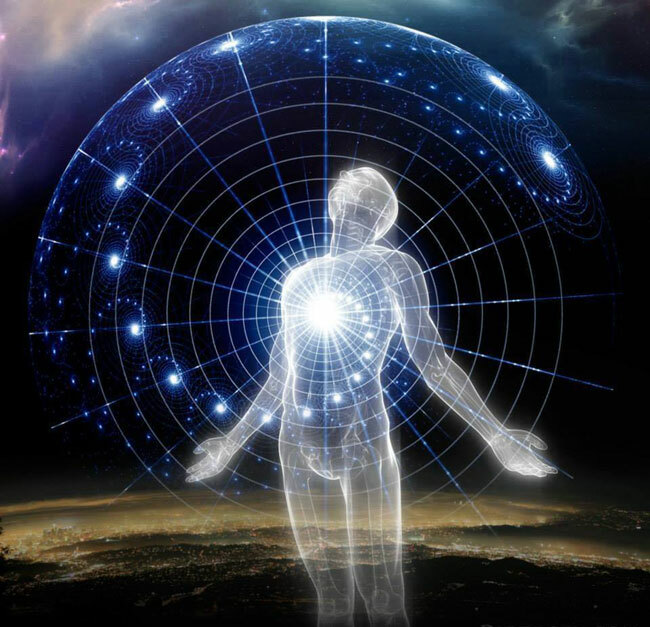 One of the reasons that meditation is an effective enhancer of dreams in general, and lucid dreaming/OBE in particular, is because meditation is deep state practice, particularly Theta states for deeper meditation. For deeper meditation, you should at least hit Theta as a primary state. And the more time you spend in Theta consciously, the more conscious control you acquire. People like to claim that OBEs and high-end lucid dreams are just as clear as the waking state. But clarity doesn't equal control. Clarity just tells you how pretty it was or how realistic it seemed. It's your perception of the experience, your feel of it, not your control while there. They are only similar to the waking state because in a waking state Beta waves are the predominate brain frequency, not Theta. In OBEs and Lucid Dreams, Beta waves are still present, but they are not the predominate frequency. This lack of Beta function reduces our ability to have purely rational, logical thought and decision making, whether we realize it or not. In other words, in a dream/OBE our decisions are based more intuitively than logically. The lack of high-levels of Beta waves is why we tend to lose focus more readily, and either revert to a normal dream state or transition out of the OBE/LD more quickly than we prefer. In other words, we are far more easily distracted while in a predominately Theta environment. The smallest distraction can trigger a random thought, which can trigger a random visualization, which can trigger a dream-world version of a daydream. And off we go into unawareness or full wakefulness. Meditation, not the trivial oh I'm going to relax for 10 minutes meditation, but truly deep meditation that carries us down into the deep Alpha and Theta states is a training ground for our mind. It trains us to consciously know what it feel like to be in the Theta state, which is what happens in a lucid dream or OBE. The more time we spend consciously in Theta, the less distracted we become when we are there in the dream. The more practice we get at controlling our thoughts (meditation) while in Theta, the more readily we will enter lucid dreams and the more readily we will stay in them after we manage to arrive. Just another reason to meditate daily. This shows the importance of daily practice. The results of daily practice indeed is "brain entrainment". The more you entrain your mind to access these frequency levels, the more we get used to that "state of consciousness" itself. That was always the goal of Binaural Beats and Isochronic tones as well. It's just the Binaural Beats and Iso tones are "tools" that help you reach/access those states, even though you can do it on your own through your own hard work. The problem these days seems to be that people don't have the time to meditate. I listen to Radio talk shows and almost every guest now mentions the problem with teaching things like this these days is that people lack the effort to do the work. It is a "Now" generation and things like Astral Projection/Meditation, etc., are not things you learn overnight. Dr. Eben Alexander said in a interview last week, that I listened to, that people nowadays want results "yesterday". They want to access the "other realms" as easily as they do their phone and we all know here, that it doesn't work that way. Another man I greatly respect, Sadhguru, says the same thing. I have listened to quite a few of his video seminars over the last year and agree with almost everything he says. He, like most of the famous Authors of Meditation, Non Local States of Consciousness, etc., is having a serious problem lately relaying his message. Spot on post madmagus and wonderful follow-up by Lumaza. I totally get the 'now' generation but then too there is that other generation. What I loosely refer to as 'my' generation. (Yeah I'm older now so I can say that) LOL. I am one of those people that fully understand the time and determination that must go into this if I am to progress. But I truly do not have space to spend hours meditating or on myself and self-growth as I would like or need. I fully accept my life as it is and that's my hurdle to jump over or crawl under any way I can. But the younger generation - they just need room to breathe and slow down. Thanks for the replies. I was just trying to be more specific about the internal result of meditation and it's nuts and bolts. People have the tendency to gloss over particulars, usually because they don't know them, and regurgitate generalities. Generalities are not of much use when multiple interpretations can be made by everyone reading them based on their personal background. Taking the term 'meditation', its definition gets very clouded by all the gurus sharing their mystical views and formulas about it and what it does. But what they are doing is intermingling actions and goals when they give their descriptions. Various sects use meditation as a means to reach enlightenment, or so they state as their objective. But that doesn't describe meditation. I simply describes the goal of a group who uses meditation in an attempt to achieve those ends. Meditation, at the nuts and bolts level, is simply concentration with a particular focus. Once you come to understand that, you can then use meditation for all variety of purposes and disconnect your purpose from the mystical. I view the frequency basis of deep meditation, and its correlative activities of LDs/OBEs, in that same light. If you understand that achieving primarily the Theta state is your goal, then you more readily can apply technology (mental or physical) to achieving that specific goal rather than a more amorphous one, such as the advice "well, just relax and go deeper." Deeper where? Xanth, it's as you've point out on numerous occasions about techniques; they all come down to shifting your focus inward and away from physical input. We can't let the goals of a technique get confused with the technique itself, or we scare people away. Meditation, simply focused concentration, is not religious by nature. It's merely a mental tool to clear and focus our minds. How you use your mind at that point is up to you. Despite the clarity of your advice Xanth, most people skim over your understanding and chug on looking for something new. I think more people would use meditation, for all its benefits, if they simply understood its true nature rather than the mystical one that gets self-promoted. Had to throw that out. I may have stretched the intent of the original post a bit, but I think it all pulls together. Thanks for reading. Sweet post Madmagus. I have done a bit of research into the way brain waves affect these states too, it's a topic I want to learn more about. Perhaps you would be willing to share your interpretation of a classic Theta meditation experience and what it is like. I have had meditation sessions where time seems to fly by in a semi-blank mind state that can easily span 1-2 hours. Is this what a theta experience is like? Thaomas, If you really want to learn more about the "Theta experience", you should check out Todd Acamesis's new device, "the PandoraStar". It has been getting great reviews from the Astral community. Another good one is the Lucia Light Machine. Both are being used quite a bit in Europe. Not so much here in the US though. I used a Light/Sound machine in the past and found it very easy to get into the zone. I felt it actually triggered the release of DMT almost immediately. Every person I tried my own Laxman that on, that doesn't consciously intend to project or has ever attempted to, had experienced something unusual. Most felt like they were immersed in the scene and also that they felt it hard to move, like SP was kicking in. The PandoraStar has been nicknamed the "DMT Machine". The PandaStar and Lucia are way more powerful than the Laxman. But they are easy to find in the UK as well. Good information Lumaza. I follow to a degree, but don't use, the new technical equipment that is out to have any useful comment. I restrict my work to meditation. As a general rule, I use some form of single-point meditation or Vipassana, though the former for me is more effective for deep meditation. They each have their effectiveness. One of the best descriptions I can give for the feeling of deep meditation (Theta if you will) could be described using Monroe speak for convenience. I would best describe it as being similar to F-12. You have perfect clarity and a loss, for the most part, of physical body input. The reason I use focus 12 versus focus 10 as my base description is that one of the most annoying aspects of getting deep, just as it is annoying for projecting, is the swallow reflex. When I hit deep meditation, the swallow issue evaporates as well. I have a perfect sense of calmness, a lightness if you will. It's not an awareness state that I confuse with anything else. Another thing I realize as I am coming out of a deep meditation experience, is a feeling of entering a new world. It's very similar to how you feel when you wake in the morning, still in a dream-like state (probably a solid Alpha). You swear you are fully conscious, but then you open your eyes. And bang, true waking reality hits as Beta waves start developing. It's almost a physical jolt. I don't know if others have the same experience. It could just be my personal experience with it. Good luck with your studies. True, I have always meant to get into light and sound machines, thanks for reminding me Lumaza. Might look into getting one for Christmas this year, I like the sound of the Kasina machine. The theta state sounds a bit like "the void". It sticks out to me that you mentioned the physical jolt as beta waves start to form. I often get physical jolts when trying conscious projections. I wonder if that can be explained by a sudden emergence of beta waves as a response to exit symptoms or realizing that a dream transition is occurring or has just occurred. I owned a Kasina. I found it over-rated. I returned it and just used my Laxman. My Laxman I bought myself. The Kasina was a Christmas gift. I posted that because there are many places, like Spas, etc. in Europe that you go and try a session with one of either the PandoraStar, the Lucia and nowadays even the Laxman. I would try one first before you purchase one. Not everyone is good with bright lights like that and it can cause complications. It is the "theta" state. When you are in the 3D void, or when you have reached that level of consciousness, there is no bodily focus at all. A way to check how deep you are is to go back to that primer, that you used, for a minute and do some quick thought "thought=action". You will see the images appear immediately clear as day. If you speed up those thoughts, you can be viewing it like a "slide show". The "hypnic Jerk" is what you experience when you choose to consciously aware watch your sleep process. It is one of the signposts of a change in your current state of frequency. I saw it firsthand very quickly when I put my Laxman on my friends and Family. After a couple of minutes, they started showing sign of "hypnic_jerk". That's why I say that I believe light/sound stimulation cause DMT to be released from the Pineal Gland. When my test subjects were finished the session, they got up like they get up from a long slumber. At first they were dazy, in a fog, but then they felt incredibly refreshed, as in ready to start the day. Here's a link to more on Hypnic-Jerks. Bummer about the Kasina, if you had the option to return the Laxman instead would you have still done away with the Kasina? I would love to try one before buying but its a pretty obscure technology in New Zealand, I don't think there is a place you can try them. I may have to take a leap of faith. What is the key to beating the hypnic jerk? My experience has always been that once the jerk occurs I am awake and back to the body. If I try to ignore and sink back in, sometimes I would have sequences of jerks and waking up rather than ever getting past it so to speak. The times that I have projected consciously there was no jerk at all, due to wake and back to bed priming possibly. Yes. I preferred the Laxman. Better programs, better "goggles" and it had a "open eye option", even though I never used that way. I very rarely get the Hypnic Jerk when in a Phase session and if I do, I basically ignore it and keep moving on. I don't get it at night while sleeping. When I get SP, it normally begins with the gentle Astral winds and a mild body pulse, until both become constant, then I'm out. I would surmise though that the Hypnic Jerk is what people experience while nodding off while driving. I have had it like that before. Thankfully the jerk occurred and made me realize what was happening. To beat it, you have to stay completely consciously aware. It only occurs when we are on the brink of losing our awareness. If you are attempting to Astral Travel, you can't lose that conscious awareness. Perhaps it works as a fail safe. It does while driving.